It’s not a secret that the Tampa Bay Rays have been in the market for a catcher since their 2018 season came to a conclusion. 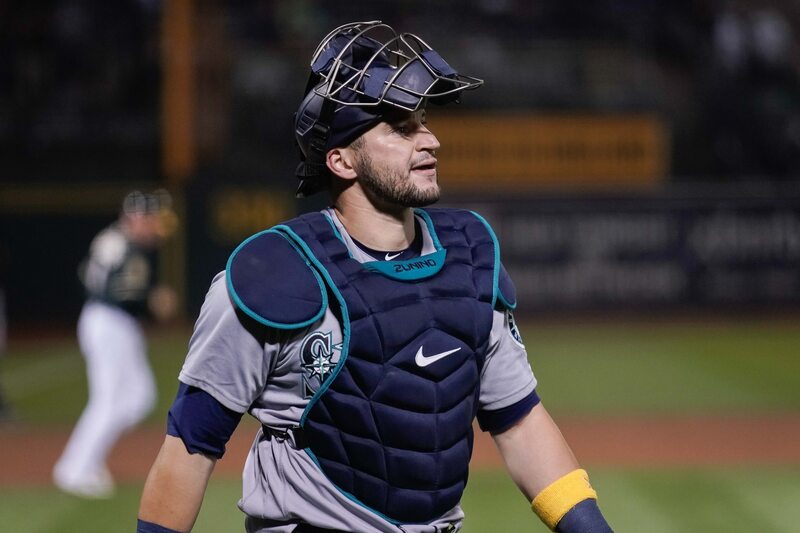 Short on both young talent and proven veterans behind the plate, Tampa Bay is now reportedly nearing a deal with the Seattle Mariners to acquire 27-year-old catcher Mike Zunino. “Multiple Major League Baseball sources said the Mariners are working on a possible deal with their favorite trade partner, the Tampa Bay Rays. Seattle would send Zunino and outfielder Guillermo Heredia to Tampa in exchange for outfielder Mallex Smith and perhaps a minor league prospect,” Ryan Divish of the Seattle Times reported Wednesday evening. This could be the start of a fire sale for a Mariners team that boasts the longest playoff drought in Major League Baseball. Zunino hit just .201 with 20 homers and 44 RBI this past season. Though, he’s also seen as a plus-level defensive catcher. The other moving parts in this trade are interesting in that 27-year-old outfielder Guillermo Heredia should earn a spot on the Rays’ 25-man roster. Meanwhile, Mallex Smith hit a studly .296 with an AL-high 10 stolen bases last season. He’ll more than likely be a starter in Seattle.